Flexi Fax is a sub division of (FES). Flexi e-Solutions (FES) - headquartered in Melbourne, Australia with presence in Kuala Lumpur - Malaysia, Legazpi City - Philippines, Kerala - India, Dallas - USA and Singapore was established in 2002 as a ICT company that relentlessly aim to simplify technology to work for businesses of all sizes. (FES) is dedicated to establishing a trusting relationship with its users, based on respect for personal identity and information, by promoting the use of fair information practices. This privacy statement covers all Web properties owned and maintained by (FES), including but not limited to www.receptionist.com.my, www.receptionist.net.au, www.flexiphonesystem.com, www.flexihostings.net, www.accessvpn.com, www.flexihostings.net.au and www.flexifax.com.my. 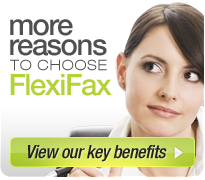 How Flexi Fax uses the information. With whom Flexi Fax may share user information. or alteration of information under Flexi Fax control.